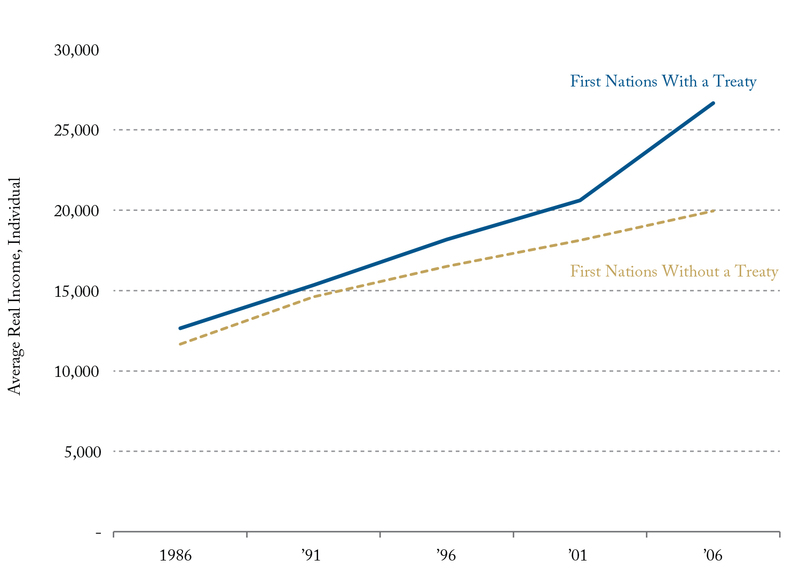 How to boost income for First Nations? Modern treaties—or Comprehensive Land Claim Agreements which began in the 1970s—have boosted real average annual income in First Nation communities by some 17 percent. The author argues that by clarifying property rights, treaties reduce the transaction costs for extractive industries such as mining and facilitate their development. Such clarification paves the way for more resource projects that may increase demand for local workers. These are important findings in assessing the benefits of First Nations treaties.